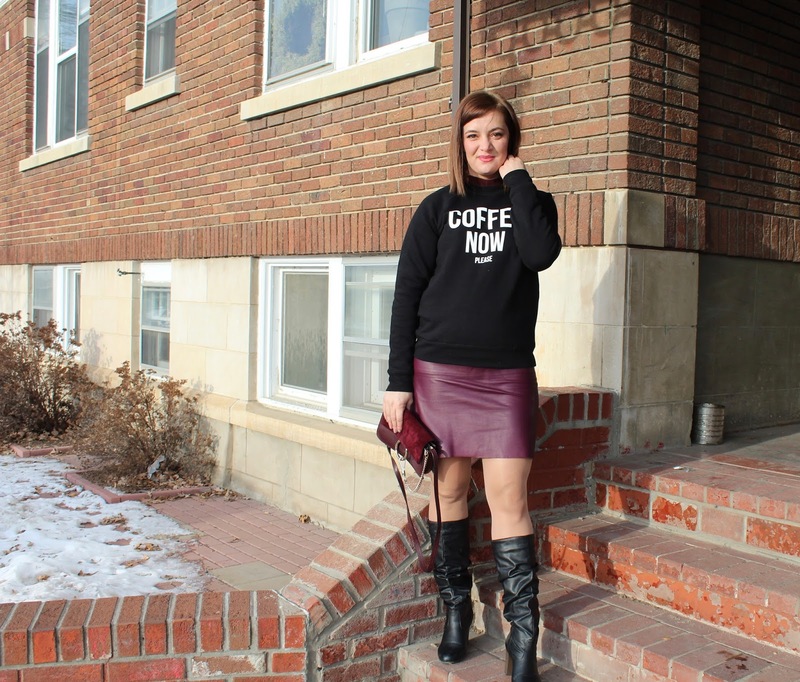 Combining feminine pieces, like this Kate Spade leather skirt and a sweatshirt is my favorite. 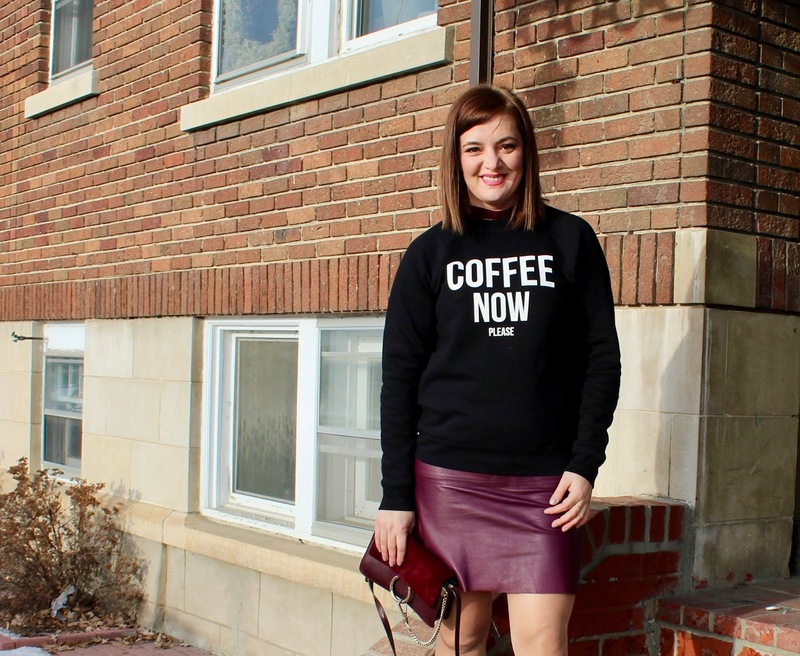 It dresses up the sweatshirt, and at the same the sweatshirt makes it acceptable to wear a leather skirt to a farmers market and brunch. right? 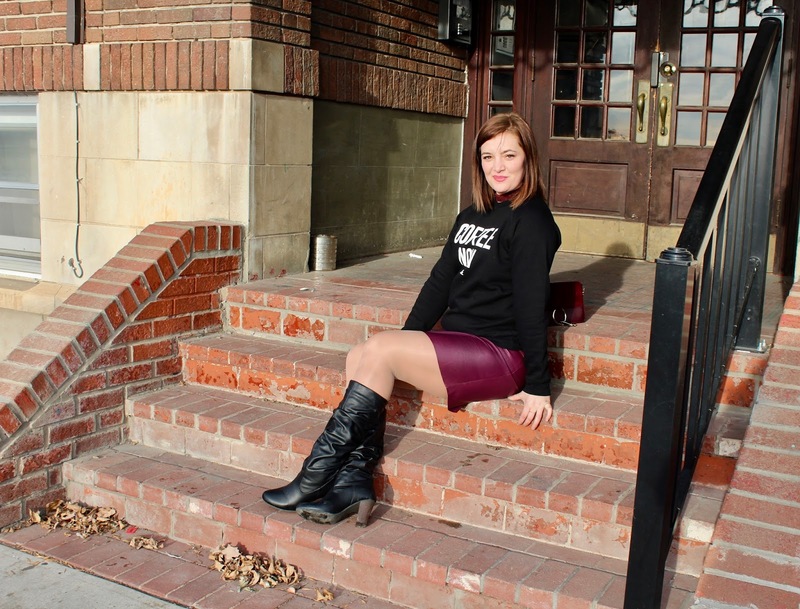 I love booties and over the knee boots but have a hard time wearing any other boots. 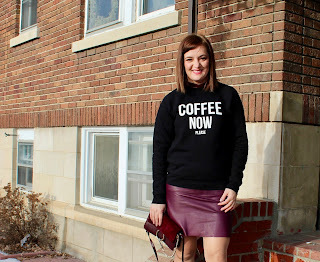 I bought this Aldo pair last winter and maybe worn them once, but combining them with this laid back look seemed to work.